This Klipsch AWR-650-SM is Priced and Sold as Each, For a Pair Add Two to Your Cart. The Klipsch AWR-650-SM speaker packs over six decades of audio experience into one weatherized package that won’t ruin your curb appeal.Satisfy your summertime urge to rock out. The Klipsch AWR-650-SM is a true two-way design that employs a 6.5-inch dual voice coil polymer woofer and dual ¾-inch polymer dome tweeters. Available in a granite, sandstone or red rock finish, the Klipsch AWR-650-SM features a durable UV-resistant enclosure so you can enjoy clean, clear sound all season long. 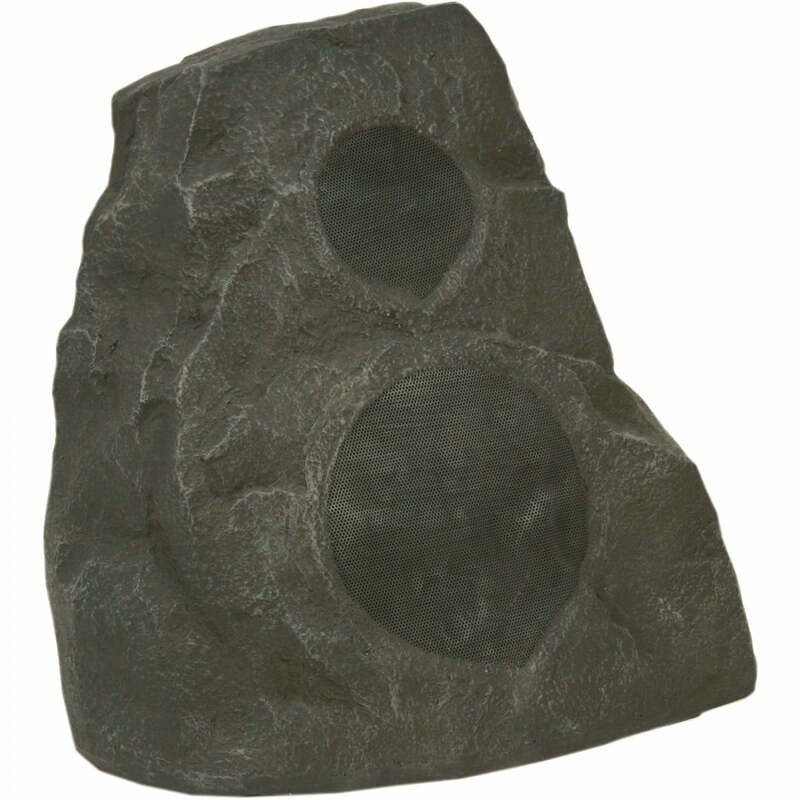 This stealthy speaker imitates an actual rock to blend in seamlessly with the surrounding landscape. It sports a 6-1/2″ woofer for deep, punchy bass and two 3/4″ tweeters for crisp highs. This dual-tweeter design allows the ‘650-SM to play both channels of a stereo signal with precision and clarity. You can also use two of these speakers for a conventional stereo setup in a larger area.